Researchers from ETH Zurich and Empa have for the first time succeeded in creating uniform antimony nanocrystals. These nanocrystals are able to store a large number of both lithium and sodium ions, operating at a very high rate – in normal English, this means that they can potentially be used as alternative anode materials in future high-energy-density batteries. 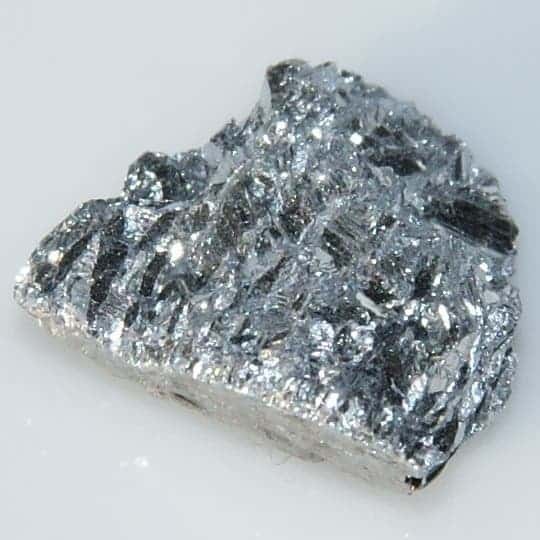 Antimony (also called Stibium) is a chemical element generally found with sulphur, in a mineral called stibnite. A lustrous gray metalloid, its compounds have been known since the Antiquity, and were mostly used for cosmetics. However, now, it has more technical uses and its alloys are used in solders, bullets, plain bearings, and more recently, microelectronics. But with the hunt for better batteries in full stride, researchers now believe they can also use it to one day replace today’s lithium ion batteries. Today, the latter are commonplace and provide power for virtually all electronics, including laptops, smartphones and tables. The first problem with lithium ion batteries is that, well, lithium is starting to run out. The ever increasing use of electronics has led to a higher than ever lithium requirement, and scientists are already starting to worry. This is why conceptually identical technology based on sodium-ions will receive increasing attention in coming years. However, while lithium batteries have been used and researched for decades, not so much is known about materials which can efficiently store sodium ions. If this were to be figured out, then the way would be paved for the new generation of batteries. The team of researchers from ETH Zurich and Empa headed by Maksym Kovalenko may have come a step closer to identifying alternative battery materials: they have become the first to synthesise uniform antimony nanocrystals; the special properties of the nanocrystals makes them ideal candidates for an anode material for both lithium-ion and sodium-ion batteries. Initial electrochemical tests showed that electrodes made of these antimony nanocrystals perform equally well in sodium and in lithium ion batteries – which makes it even more interesting. Another important outcome of this study is that as long as they’re non the nanoscale, the performance is not really size-dependent. They showed that everywhere in the size-range of 20 to 100 nanometres the material shows excellent, size-independent performance, both in terms of energy density and rate-capability. This is very economically significant. “This greatly simplifies the task of finding an economically viable synthesis method”, Kovalenko says. “Development of such cost-effective synthesis is the next step for us, together with our industrial partner.” Experiments of his group on monodisperse nanoparticles of other materials show much steeper size-performance relationships such as quick performance decay with increasing the particle size, placing antimony into a unique position among the materials which alloy with lithium and sodium. However, before we get too excited about this prospect, it has to be said that we’re still several years away from actually seeing this hitting the shelves. It will be another decade or so before a sodium-ion battery with antimony electrodes could hit the market, the ETH-Zurich professor estimates – and there are few groups currently studying it. “However, other research groups will soon join the efforts,” the chemist is convinced.